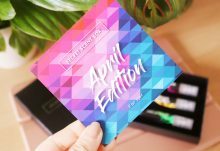 We all know the benefits of keeping active and the importance of making time to do some exercise sessions every week, but sometimes life gets in the way and it can be hard to get motivated, especially if you’re just starting out on your fitness journey and haven’t done any exercise for a while. This is where Active Monthly comes in. They’re a new health and fitness subscription box, but one with a big difference as they offer online support and guidance (such as nutritional advice, recipes, workout tips etc) from a range of professionals to keep you focused on your goals. Think of it like having your very own virtual gym coach! 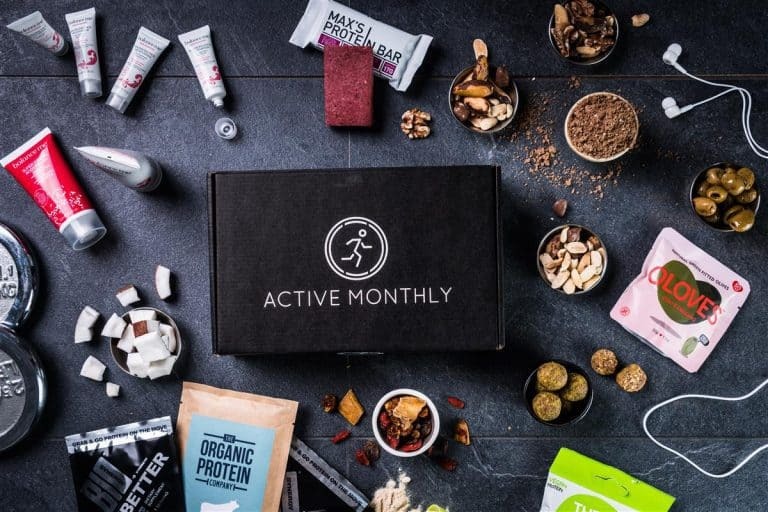 The monthly box goes alongside this and is packed full of healthy snacks, protein supplements, post-workout skin care/body care, gym passes and more, plus the contents are worth over £30 so you’re getting excellent value for money. 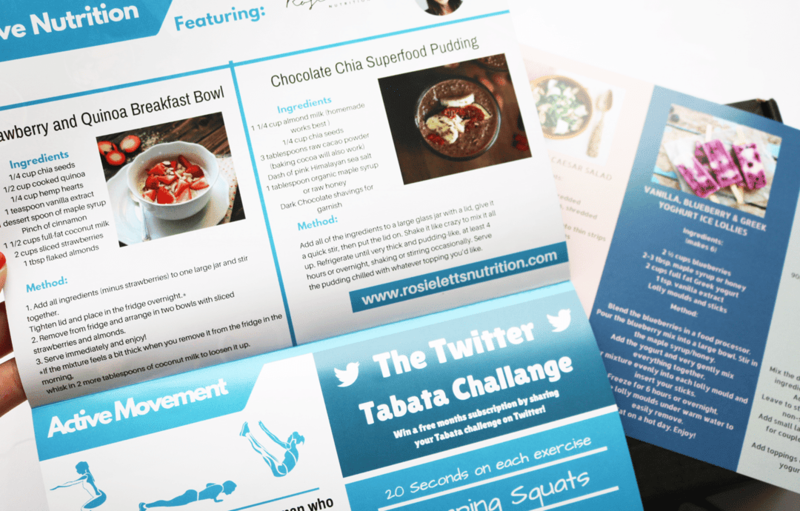 On top of the contents, I found some healthy recipes and fitness tips, including a Twitter challenge which you can join in with for the chance to win a free month’s subscription, which is a great way to engage with subscribers and get them active at the same time! 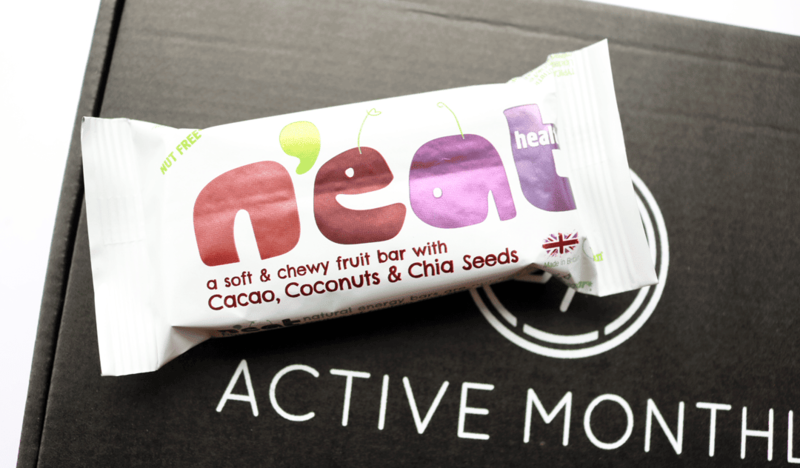 The first product that I took out of the box was a Natural Energy Fruit Bar from the brand Neat. This fruit bar contains Cacao, Coconuts, Sultanas, Soy Protein and Chia Seeds, making it an ideal healthy snack to have in your lunchbox or on the go. It’s free from added Sugars, Palm Oil, Wheat and Dairy, and is suitable for vegans. It’s really tasty with a satisfying soft and chewy texture – I’d definitely buy this again. Next up is a snack bag from The Protein Ball Co. 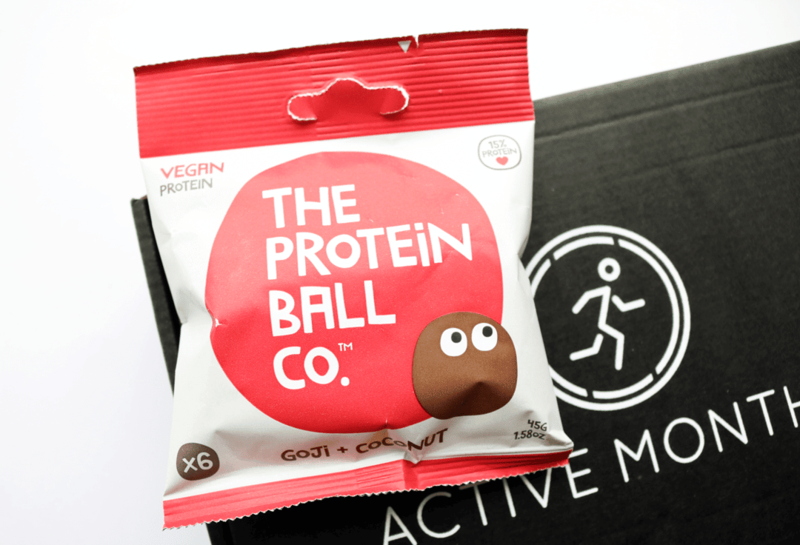 This bag contains six mini protein balls in a delicious Goji and Coconut flavour. They’re free from Gluten, Dairy, Wheat, Soy, GMOs and added Sugars, and like the Neat Bar, are also suitable for vegans. Each pack has 6.9g of Organic Rice and Pea protein, so they’re perfect for a little pre or post-workout snack, and they taste great! 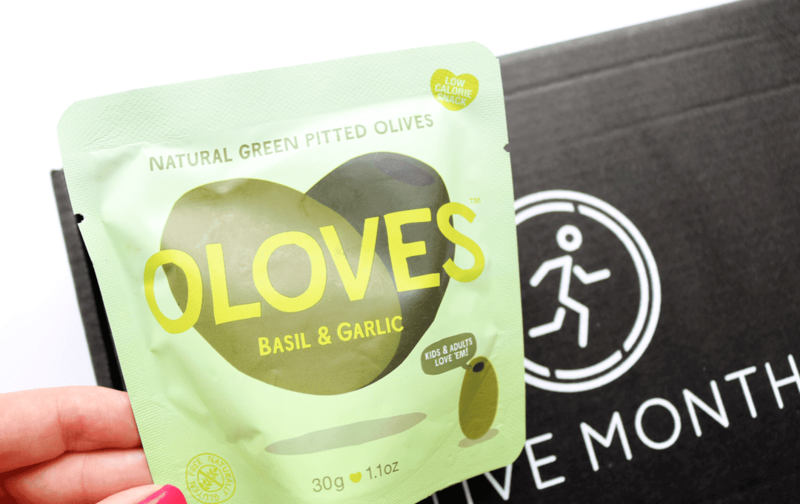 I love Oloves and have bought them on many occasions when I’ve wanted a healthy snack. They’re simply green pitted Olives in a natural Basil and Oregano dressing and are only 53 calories per pack. Super yummy and low fat! I was pleased to see this moisturiser in the box as I’ve used it in the past and this travel size will come in really handy for my holiday or gym bag. It’s 99% natural and suitable for normal and combination skin types which is perfect for me. 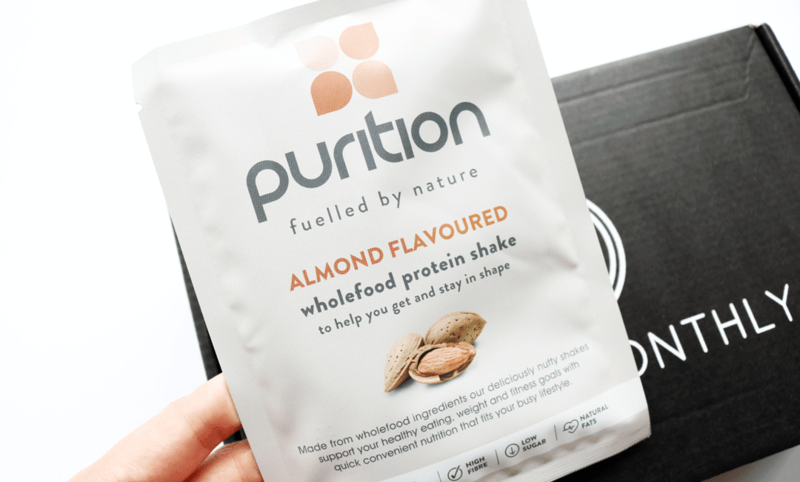 No fitness box would be complete without at least one protein shake product and this one is from the brand Purition. It’s a Wholefood Protein Shake which is Gluten-Free, High in Protein (one shake contains 16.6g) and Fibre, Low in Sugar and contains natural healthy fats. I received the Almond flavour which was delicious! 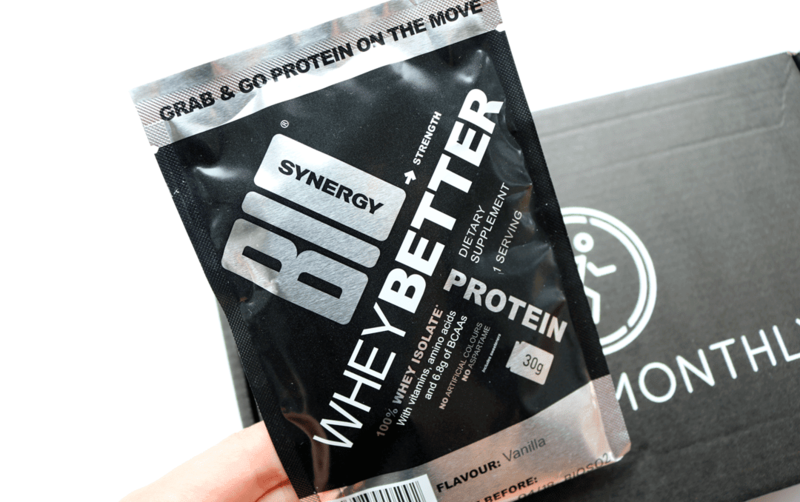 The next product that I tried was a Protein powder from Bio Synergy. This one contains 100% Whey Isolate, Vitamins, Amino Acids and 6.8g of BCAAs. It blended well into a shake, but I wasn’t overly keen on the Vanilla flavour as it was a little too sweet for me. 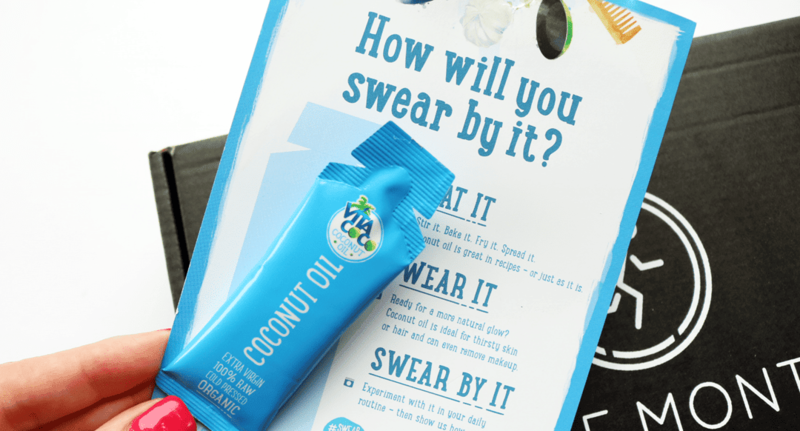 At the bottom of the box, I found some samples including a little sachet of Vita Coco Organic Coconut Oil. I use this brand a lot and currently have a big jar in my kitchen that I use for cooking, but it’s also amazing as a beauty product for moisturising the skin. You can use it as a hair treatment too! I love this one because it’s 100% pure, raw, cold-pressed, extra virgin and organic, so it’s the proper good stuff. I’m a big fan of herbal teas so I always enjoy trying out new flavours and blends. 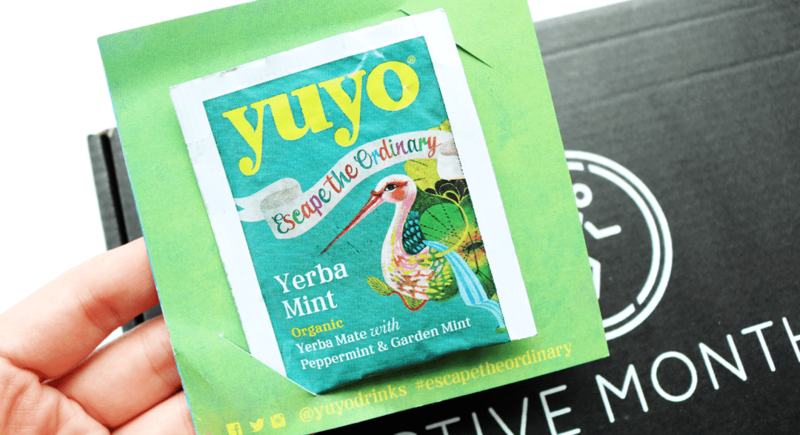 This sample teabag is from a brand called Yuyo and I loved this Yerba Mint flavour. It was very refreshing and uplifting, and I’d happily buy a full-size box of it. 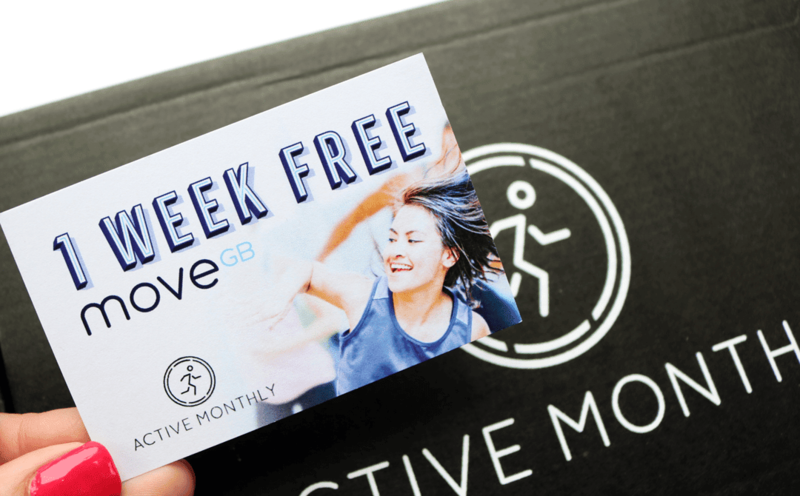 The last product was a 1 Week Pass card from MoveGB. I’m not sure that they have a venue near me, but I’ll definitely be checking! 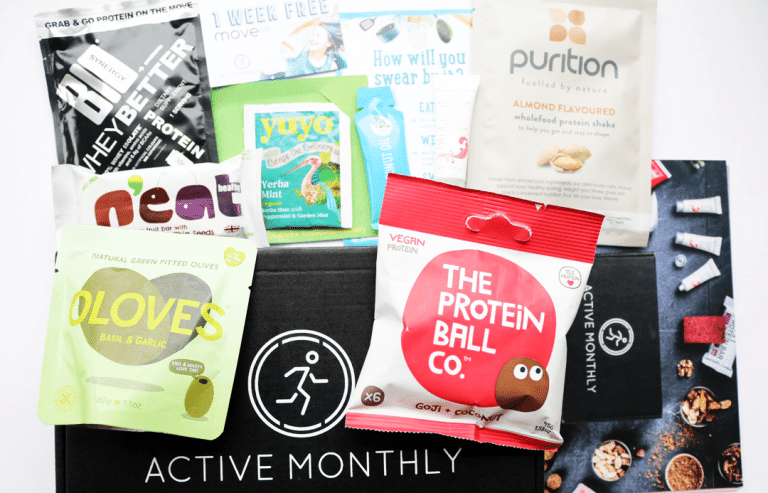 If you're looking to get more fit and want a helping hand, Active Monthly is a great place to start. 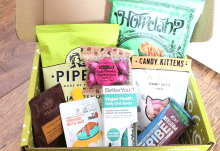 I'm very happy with the contents of August's box as it features a really good mix of products from a range of different brands, and offers excellent value for money.